All of you born in November are so lucky to have topaz and unique citrine as your birthstones. We wrote about these gemstones in the past , but, since natural citrine is so rare in nature, and before modern gemology citrine was confused with topaz, there is so much more to tell about this mystical gemstone. Most of the citrine in the market is actually heated amethyst, another variety of the quartz species. Citrine is one of only two gems on the entire planet that do not hold any negative energy. Citrine is the golden orange variety of quartz, occurring in (or heated to achieve) shades of light to dark yellow, orangey gold, and golden brown. Citrine (quartz) ranks a 7 on Mohs’ hardness scale. Natural unheated citrine is increasingly rare. Citrine is valued on the basis of cut, color, clarity and carat. But the color is the most important feature. Commonly, citrine has two main colors Yellow and Gold. The two of them have different properties and effects. The burnt orange yellow is the costliest while a lighter yellow with a hint of orange is the most popular and easier to find. One identifying feature is that this gemstone has a six-sided crystal shape that is easy to spot even with the naked eye. Citrine has been used as an embellishment on tools and in the jewelry making industry for thousands of years. It gained popularity as a decorative gem in ancient Greece during the Hellenistic Age. 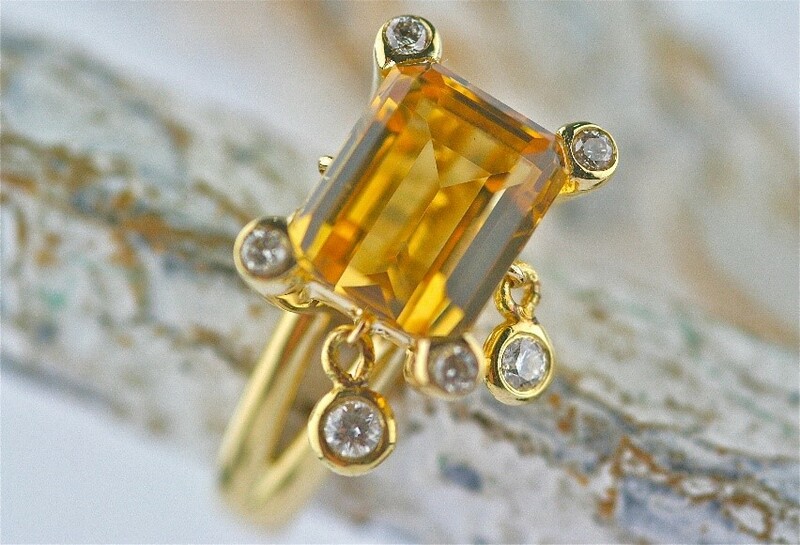 Replacing name yellow quartz, the name “citrine” was officially adopted for this stone in 1556. 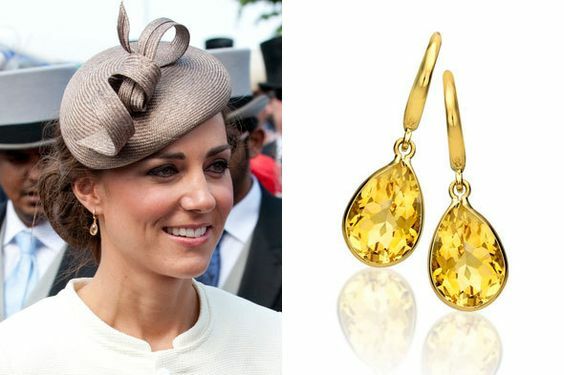 Citrine is derived from the old French word “citron”, meaning yellow. 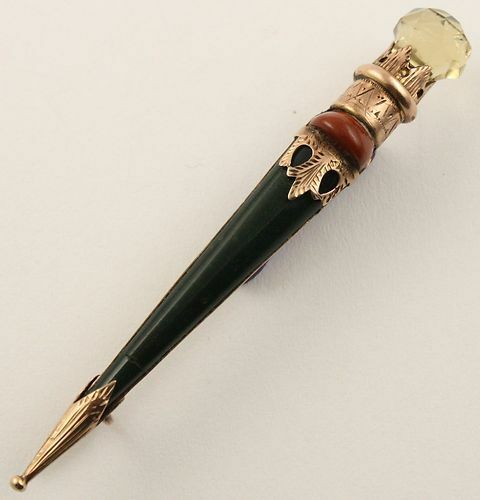 In the 17th century, Scottish weapon makers placed citrine on dagger handles, sometimes using a single large citrine crystal as the handle itself. Largely due to Queen Victoria’s fascination with the gem, citrine became a popular gemstone for traditional Scottish kilt pins and shoulder brooches. 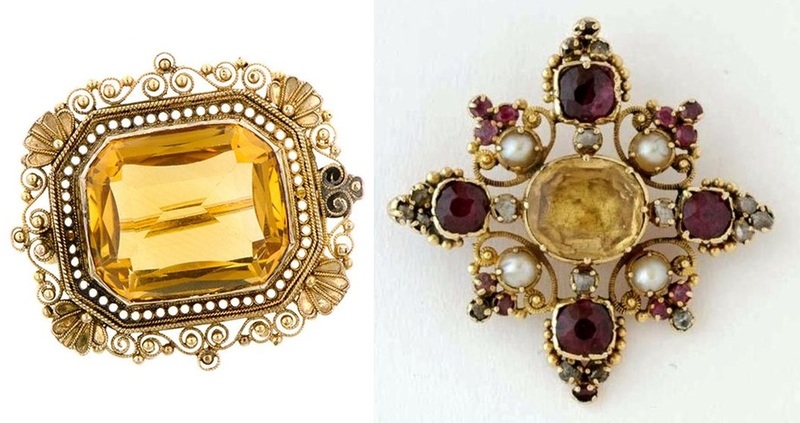 Citrine again rose to prominence during the Art Deco period that began in the early part of the 20th century. 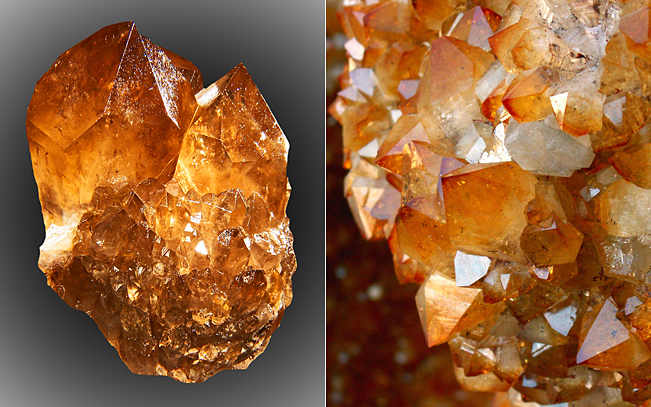 According to South American shamans, citrine has the power to burn up all negative energies, and vanish all worries. Carrying the power of the sun, it is warm and stimulating. Angelina Jolie wearing the “Jolie Citrine Necklace” that she donated to the Smithsonian. It was personally designed by Angelina Jolie Pitt and Robert Procop. The 18k yellow gold necklace features 64 graduated bezel-set cushion cut citrine gems highlighted by a 177.11-carat pear-shaped citrine drop. Citrine is a transparent, yellow variety of Quartz. It has good toughness, rates 7 on the Mohs scale, so it is suitable for all jewelry types. It is best to keep your citrine clean and shiny. Just like other gems, it can also get dirty and grimy. It is best to clean citrine jewelry at least twice a month using your jewelry cleaner and microfiber cloth or soft cotton cloth. Citrine can also be cleaned with warm, soapy water. Ultrasonic cleaners are usually safe for citrine, but because some citrine is heat treated, steam cleaners should be avoided to prevent color loss. When storing citrine gemstones, wrap them in a soft cloth and place them inside a fabric-lined box. 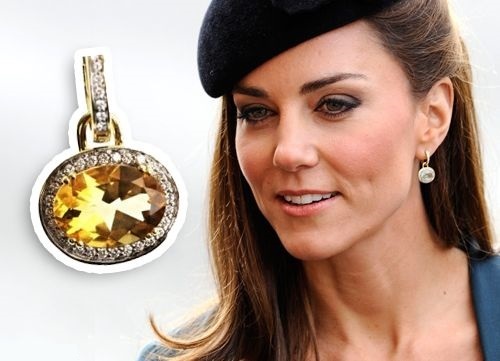 Since Citrine has a long tradition with wealth, abundance and business success it is no wonder that Anna Wintoure, style icon – The Jewel Expert, wears this gem. The unparalleled effects and beautiful color of this gem made it one of the most desirable and in demand jewelry. It has become one of the prior choices of the customers because of its durability and availability of colors. 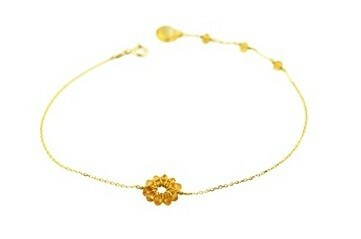 If you want to enrich your jewelry collection with citrine jewelry, just contact us!